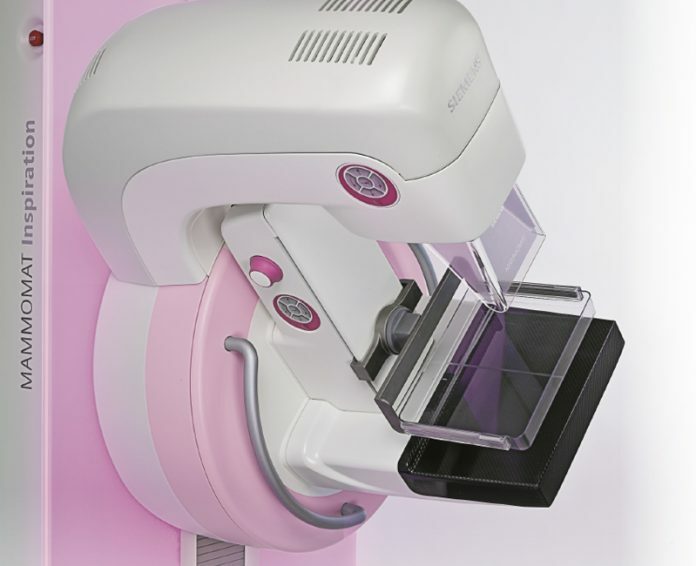 The digital mammography system with optional High Definition (HD) Breast Tomosynthesis builds on the company’s established DBT platform, which has the industry’s widest tomo sweep of 50 degrees, delivers exceptionally clear images, and is the first solution approved for 3D-only mammograms. HD Breast Tomosynthesis incorporates new EMPIRE technology, which combines iterative and machine learning algorithms for clearer, more concise 3D reconstruction. While EMPIRE technology is approved as a 3D-only exam, it includes Insight 2D and 3D – synthetic software-generated visualization of tomo volumes in 2D and 3D. Insight 2D allows breast imagers to obtain a 2D image from the EMPIRE 3D image set, providing navigational support for 3D-only exams without adding dose. Insight 3D adds depth to breast anatomy visualization.